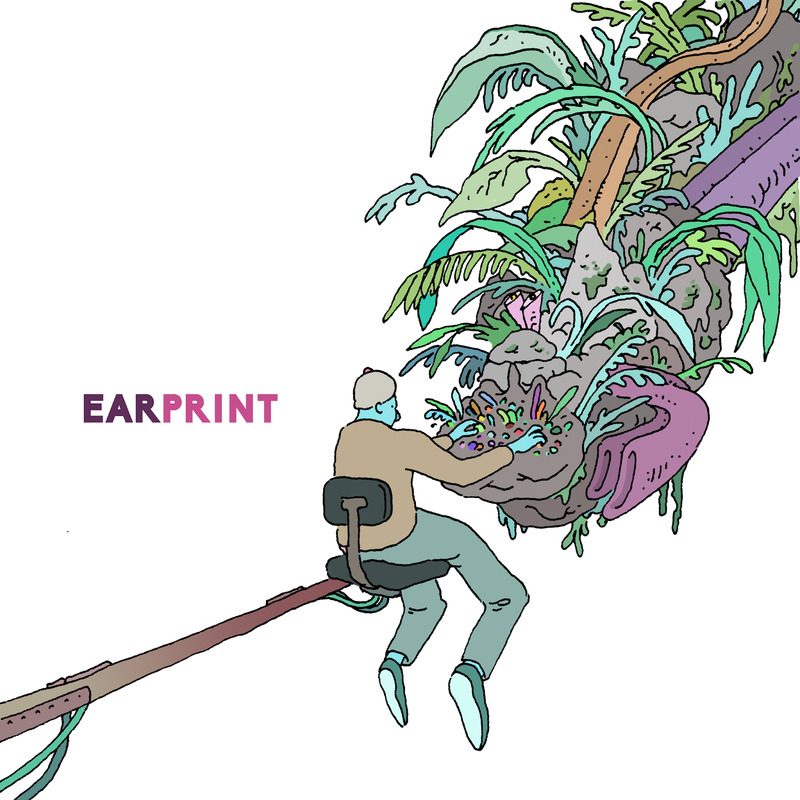 Fired by a shared passion for challenging but engaging music, Earprint has quickly forged a sound with what its members refer to as an "aggressively melodic, shamelessly youthful approach." The explosive quartet's self-titled debut, due out October 21 on Endectomorph Music, displays creative invention, intricate composition, and raw combustibility in equal measure. 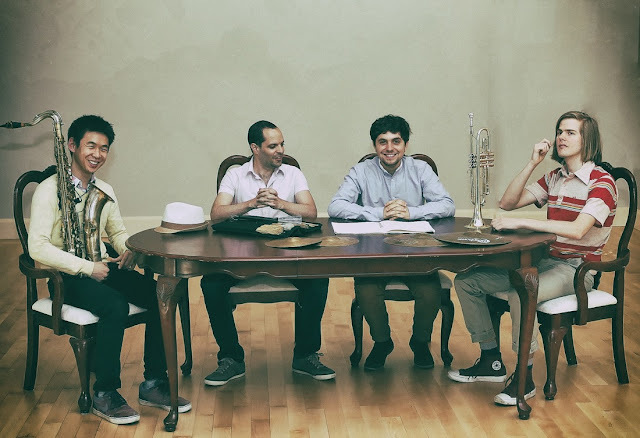 The chordless collective brings together four musicians from diverse backgrounds: saxophonist Kevin Sun comes from picturesque New Jersey and trumpeter Tree Palmedo from the grayer Pacific Northwest. 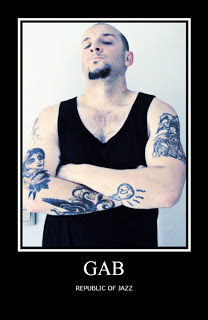 Bassist Simón Willson hails from Santiago, Chile, while drummer Dor Herskovits was born and raised in Israel. 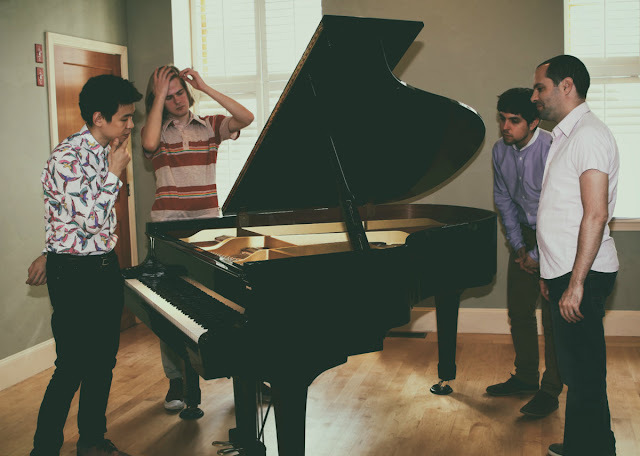 Despite their far-flung histories, the quartet established an immediate rapport while studying together at Boston's New England Conservatory, and Sun encouraged them to work together - and to challenge one another. 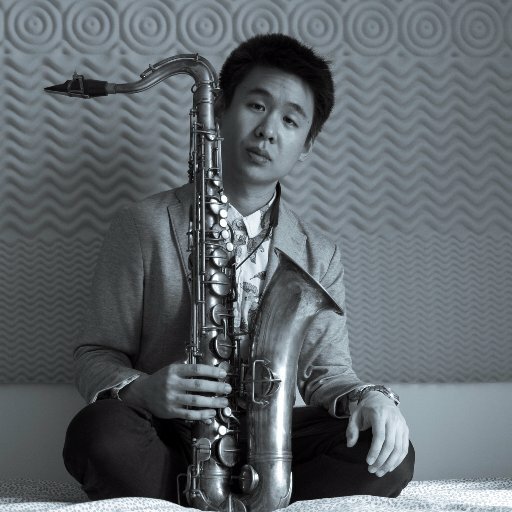 "I wanted to put something together where I could really work on writing difficult music," Sun explains, a desire prompted by such inspirations as Steve Coleman, Vijay Iyer, John Hollenbeck, and Sun's mentor, saxophonist-composer Miguel Zenón. "One thing about being in school is that you can rehearse an insane amount; I could write music that was as hard as I wanted it to be and, eventually, we could make it happen." 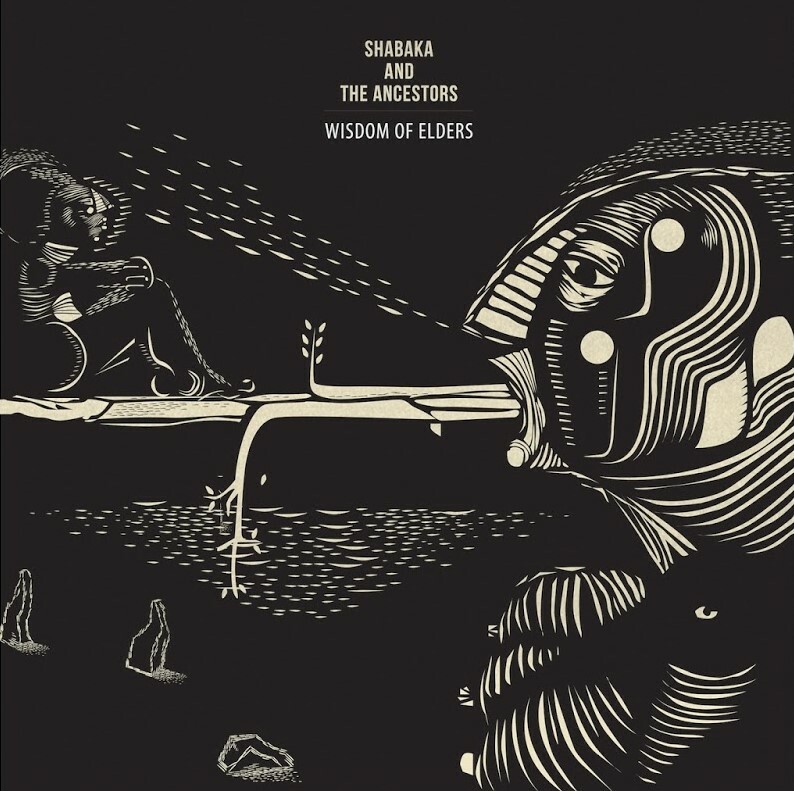 Perhaps most impressive about the group's music is that, despite the level of virtuosity demanded to play it, listening to it is anything but an abstruse experience. 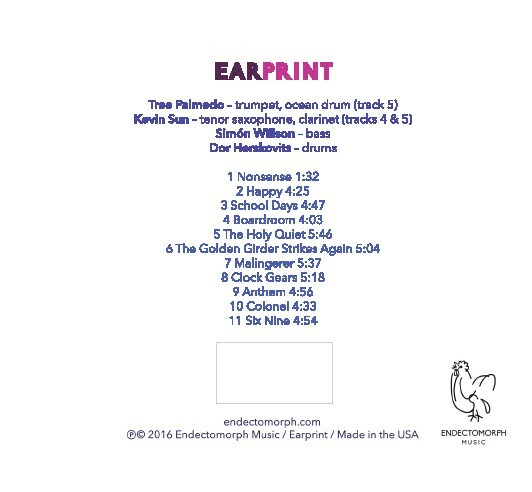 All four members of Earprint contribute memorable tunes, whose hairpin twists and turns inspire spirited improvisations. The lack of a chordal instrument provides ample space and freedom, which the quartet seizes with bravado. "We're all players that like to take chances and feel free to venture out to different places in the music, and that's really allowed when there's that space between us," says Herskovits. "After a while, it felt like we could play anything. Eventually it didn't matter if the music was complex or simple - it was all something that we could hear naturally and that felt amazing to play." The darting horn lines of Sun's "Nonsense" open the album. 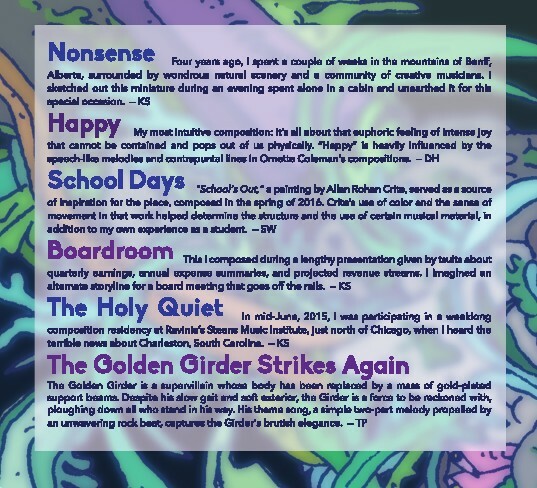 Written years ago while the saxophonist was participating in the Banff International Workshop in Jazz and Creative Music in the scenic mountains of Alberta, Canada, the piece is a densely layered miniature that serves as a jaunty and odd-angled introduction to the quartet. It's followed by Herskovits's Ornette Coleman-inspired "Happy," where the punchy, speech-inspired melodies and whiplash shifts capture the titular mood, however idiosyncratically. The title of Willson's "School Days" acknowledges Earprint's beginnings in the halls of NEC, but shares its name with a painting by the late Boston-based, African-American artist Allan Rohan Crite. The color and sense of movement in that piece was a direct model for Willson's taut, supple composition. Sun wrote "Boardroom" from a less obviously inspirational source: after playing a background music gig for a corporate function (hey, those student loans aren't gonna pay themselves), he found himself stuck listening to a litany of quarterly earnings and projected revenues, so he turned those droning numbers into a far more interesting musical equivalent. Sun's meditative "The Holy Quiet" was inspired by the tragic shootings in Charleston; the piece captures the sorrow and anger invoked by the terrible incident with a percussive clamor featuring both Sun and Palmedo joining Herskovits, while Willson intones a harrowing bowed howl. A driving rock beat fuels Palmedo's more light-hearted tune "The Golden Girder Strikes Again," a fanfare for the "brutish elegance" of an imaginary supervillain whose body has been replaced by a mass of gold-plated support beams. Sun's "Malingerer" is the album's most spacious piece, featuring a slowly accumulating melody and a languorous air but ending with an unexpectedly vigorous conclusion. The alternately methodical and frenetic "Clock Gears" is Herskovits's sonic portrait of the intermeshed workings of a clock mechanism, while the aptly named "Anthem" is the result of a task that Sun set for himself, scrawled in an old notebook and later rediscovered: to write an "anthemic, two-horn song." Voilà. Sun's sprightly "Colonel" is named after his family's beloved Yorkshire Terrier, and greets the ear with the hopping, yipping brio of an excited Yorkie. Finally, Herskovits's "Six Nine" is indicative of the evolutionary paths that many of the band's tunes take, starting as a simple groove and growing in emotional and musical complexity to its current form. In some ways, the members agree, the band itself is following a similar path, with the depth and profundity coming from the players rather than the page. 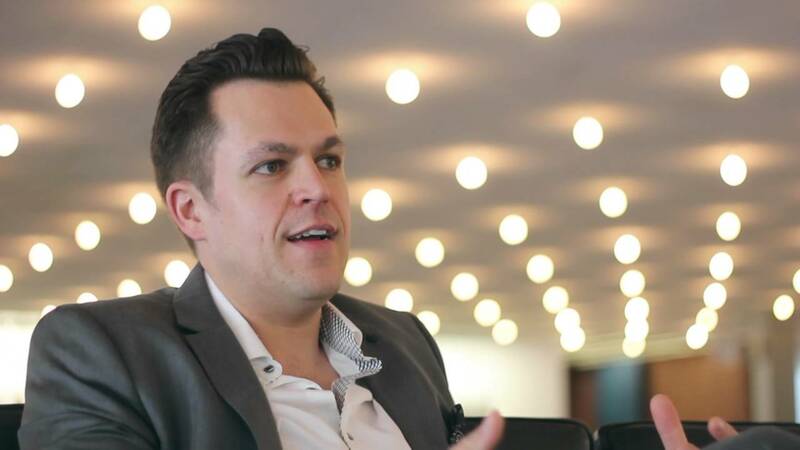 "It's a little bit more balanced between things that are more challenging and things that are more free to play on, with a mixture of styles: free music, jazz, neo-classical, rock and roll, all kinds of stuff," Herskovits says. Sun adds, "In the beginning, I would write a 7-page score for a song that would be six minutes long. Gradually I ended up writing less and less, so by the time we got to the album I could just write one sheet and there would be enough material." Maybe some of these discoveries have been made by composers before, but with each passing generation inspiration and urgency are found anew. Earprint declares the arrival of a band that's harnessed state-of-the-art composition and earthy tunefulness, with no sign of slowing down. “Digital only” reissue of Martijn’s 1998 smoothjazz album It’s Happening. 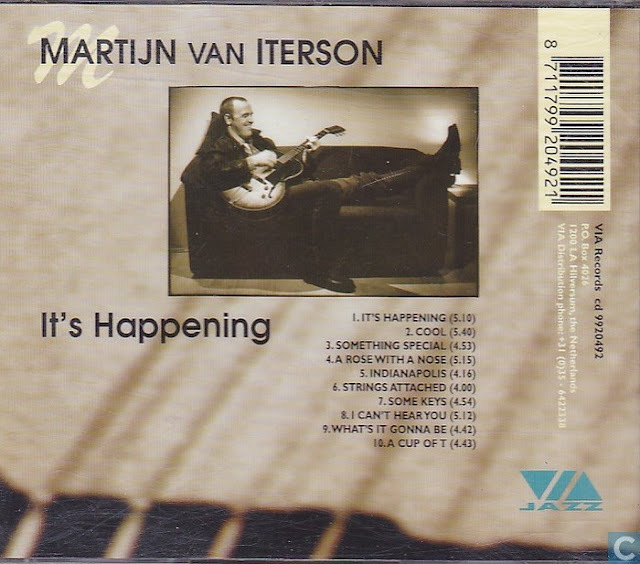 In the mid-nineties Martijn was asked by his friend and producer Lou Guldemond to record a smoothjazz album. Accompanied by Holland’s finest studio-session musicians like, among others, Karel Boehlee on Fender Rhodes, Peter Tiehuis on Rhythm Guitar, Toon Roos on Saxophones, Michel van Schie, Theo de Jong and Boudewijn Lucas on Bassguitars and Martin Verdonk on Percussion the final result couldn’t have been any better. or at your favourite streaming platform. Johannes Mueller JAZZ MILE invites us on a historic musical excursion to one of most impulsive places in jazz. It is 9:48 PM and we saunter through the smoky Frenchmen Street in the French Quarter of New Orleans. Faraway, you can hear the sound of a saxophone, carrying the melody and being rhythmically supported by the contrabass and the drums. More sides appear, this time a trumpet and a piano. 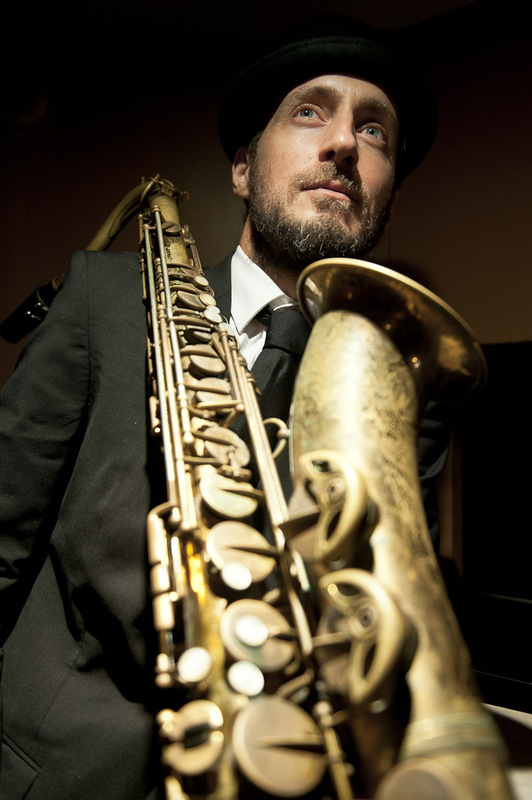 As we arrive in front of Snug Harbour, a very traditional jazz bar, we recognize, through the gloomy light, Johannes Mueller on the saxophone with his band JAZZ MILE on stage in his favourite bar. It could have been occurred this way or in a similar way. 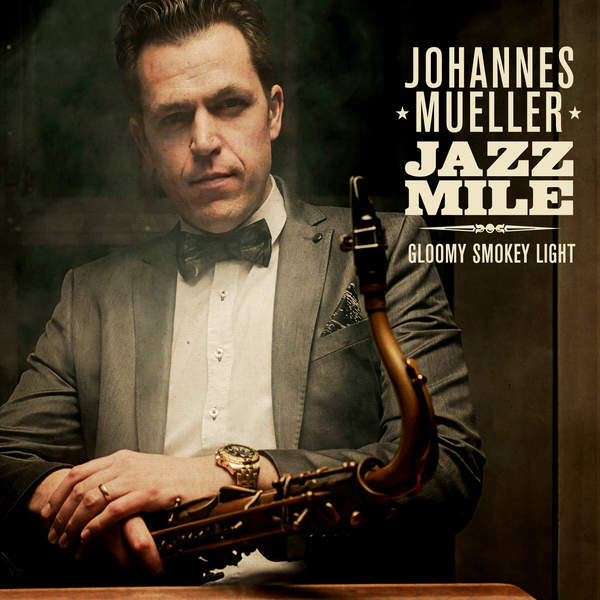 At the first listen of the new album of Johannes Mueller JAZZ MILE - Gloomy Smokey Light, one immediately feels the emotional deepness of his music. A well mixed compound of traditional pieces in a modern and fresh guise. Indeed, who closes their eyes will be carried away into the Snug Harbour. 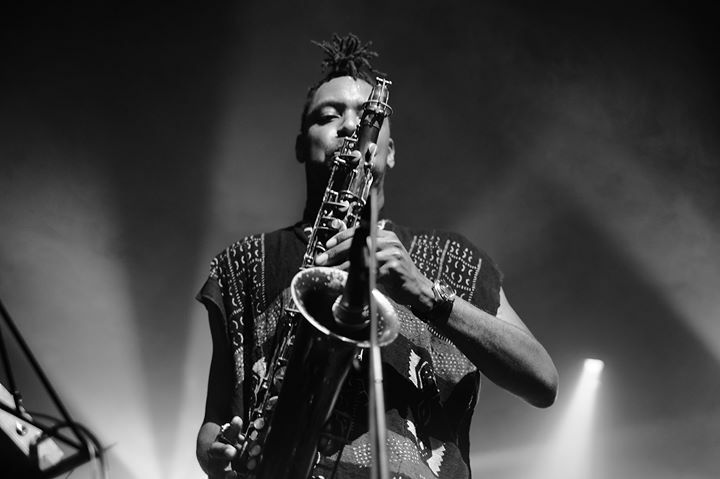 The particular energy of the jazz in such a city can literally be felt, as well as the spiritual, Creole passion that nowadays is still deeply buried within the music. Whether it is a never ending night in one of the many bars in the French Quarter or the unique carnival during the weeks of Mardi Gras; join the journey. 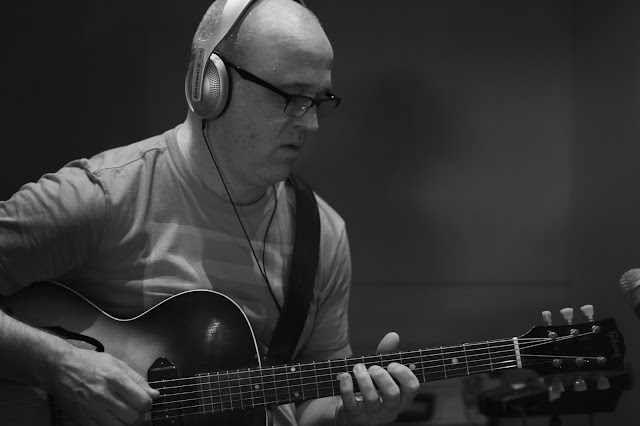 Through his compositions and arrangements, Johannes Mueller bridges the gap be-tween Jazz, Blues, Salsa, Swing, Soul, and Bossa. 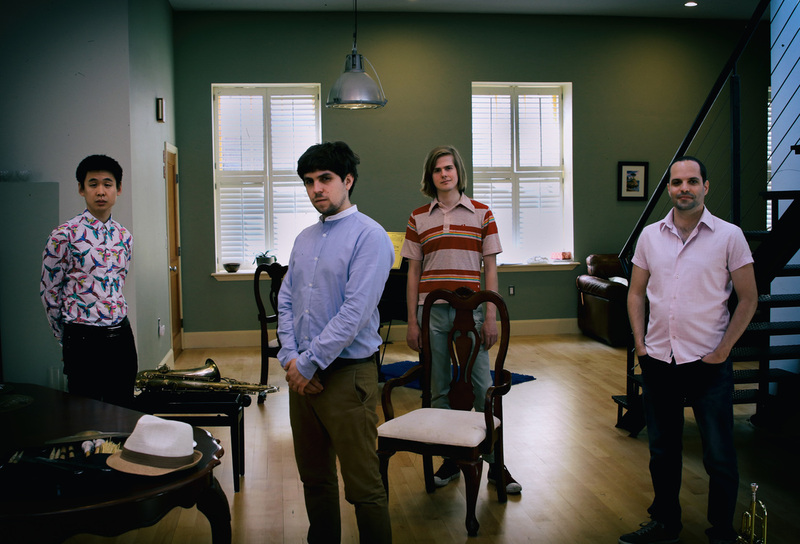 A classical quintet, which is con-temporary, young, but also deeply rooted in the tradition. It mirrors the musical ease of an entire generation and still manages to connect to the 21st century through pieces as Happy and Every Breath You Take. 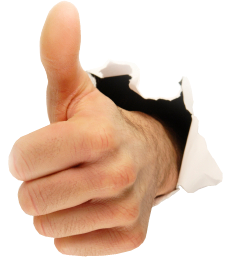 As simple as that might sound, the implementation is valuable and detailed. Every track on this album tells its own story. Therefore, the music shall not lose its groove and soul, the audience shall be enthralled, that is our goal, this is how Johannes Mueller describes Gloomy Smokey Light. 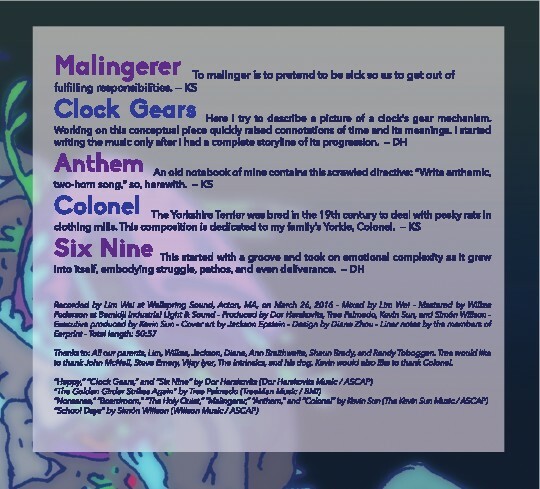 The different cast is aligned to the diversity of the songs. The distinct focus on the saxophone and the trumpet in A Dogwalk shows the band leaders and Carlo Nardozza playful refinement. Back To Mardi Gras transports the feeling of the New Orleans carnival in such a well way, that one would like to be-lieve, that he is even there himself. Especially, Chris Strik on the drums literally draws the streets of the French Quarter with his instrument. Likewise, on Loss Of A Tooth, Volker Engelberth on the piano demonstrates the deep Blues feeling in a contemporary way. Also, Philipp Schug and Gautier Laurent shine on the trombone and the contrabass. In general, the cast of the band Jazz Mile could not be more colourful. 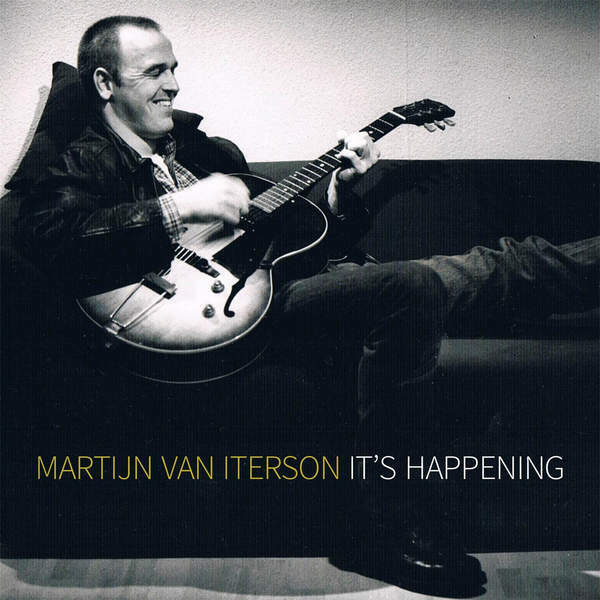 Germany, Belgium, France, the Netherlands and America are united in one band whom has committed itself to traditional but modern Jazz. Since already over 12 years, the formation has been a well-received guest on national and international jazz festivals. From Germany to Morocco, back to Spain and across all Europe. 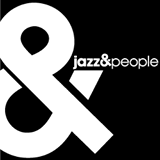 Even with their first two albums, the artists have demonstrated how jazz shall sound. With their new album Gloomy Smokey Light, Johannes Mueller JAZZ MILE creates an absolutely pure and honest kind of jazz. The title of the production delivers more than it promises, and the listener can look forward to a modern, musical expedition, that he will definitely join more than only one time. 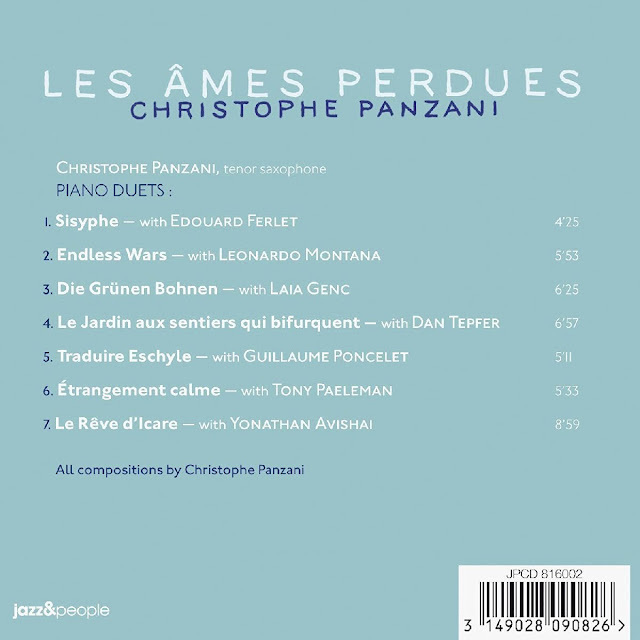 Saxophoniste parmi les plus demandés de l’Hexagone, Christophe PANZANI (Carla Bley Big Band, Anne Paceo, Hocus Pocus…) sort enfin du rang et signe un premier album constitué par une série de duos enregistrés au domicile de sept pianistes différents. Sept duos, enregistrés en autant de lieux différents, un peu partout en France, et jusqu’en Allemagne, pour immortaliser une série de compositions originales, inspirées par des lectures et les mythes antiques. 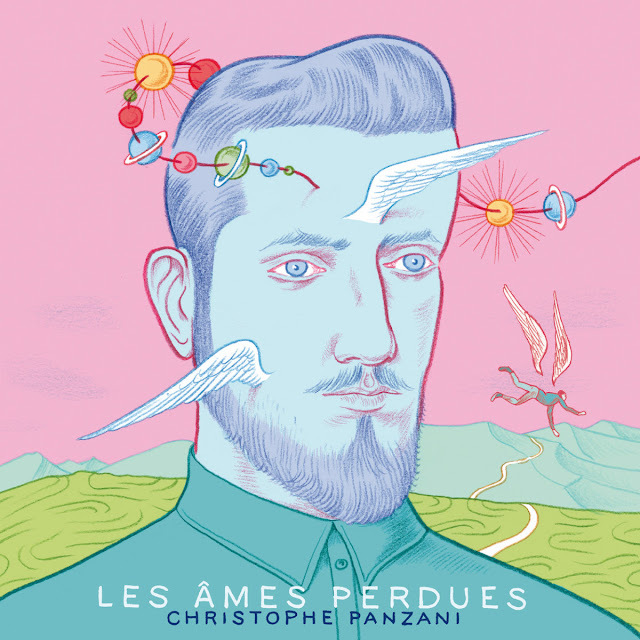 Sept pièces, spécialement imaginées par Christophe PANZANI, pour ceux qui allaient les interpréter, qui s’enchaînent comme une longue suite. Sept pianistes des plus talentueux, qui apportent leur personnalité et leur toucher, reflet de leur parcours et de leur sensibilité : Yonathan AVISHAI, Edouard FERLET, Laia GENC, Leonardo MONTANA, Tony PAELEMAN, Guillaume PONCELET et Dan TEPFER. Un « road-album » intime et sensible, en forme d’autoportrait, mélancolique et envoûtant.